Planning for a new 2500 square metre convenience shopping centre near the Curro School in Century City is well advanced with construction expected to get underway in May this year. 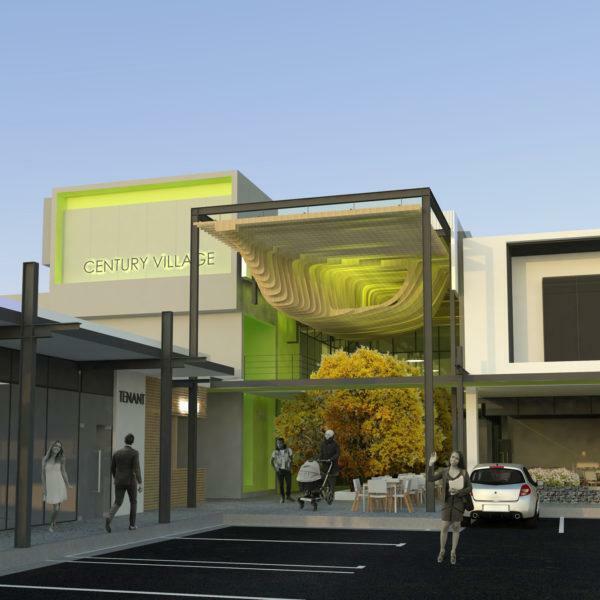 Anchored by a grocery store, the Century Village Shopping Centre will also be tenanted by restaurants/coffee shops and a range of speciality line shops. It will be served by around 100 open parking bays. It is to be built on the existing e-parking site bordered by Curro and The Terraces residential development off Century Boulevard at a cost of around R50m. Those motorists currently using this e-parking facility will be moved to one of the other e-parking sites in Century City. Being developed by Rabie Property Group, the centre has been designed by Bam Architects and will be built by Big Ben Construction. It is expected to be up and running by May next year.